Over a year ago, I made a lot of Banana recipes as there was always some leftover. After a long while I got few of them languishing in freezer and the fact that I haven’t baked in some months, that I decided to re-create one of my old recipes into muffins. This recipe is a quickbread recipe in one bowl. Dump all your ingredients in one bowl, give a nice whirl and you are good to go. 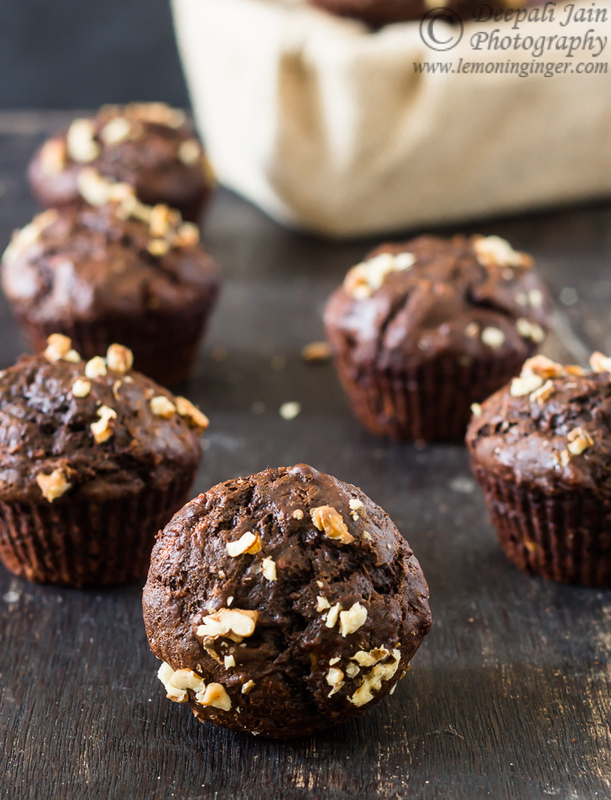 You can make them into Vanilla Muffins by replacing cocoa powder with flour. I topped these with some chopped walnuts. 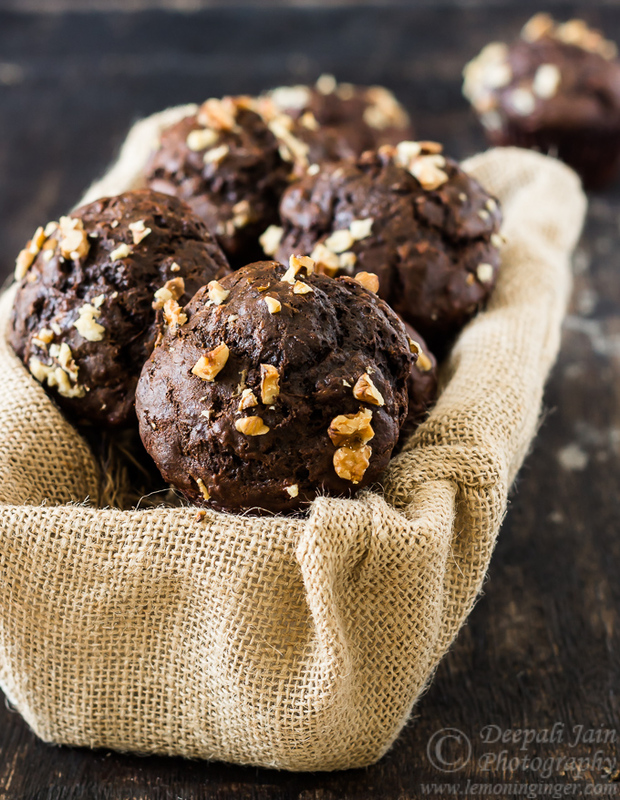 You can sprinkle chocolate chips, or serve them plain for breakfast. The recipe gives a lot of scope to experiment. I earlier made it as marble quickbread in whole wheat. I shared some with my neighbours and they all loved it. When kids enjoy my baking, I am most pleased, I guess. 1. Preheat oven to 180°C. Lightly grease a 9 muffin pan or individual muffin cups. 2. Mash the bananas in a large bowl, until relatively smooth. Spoon the mashed bananas into the measuring cup to measure and then return to mixing bowl. 3. Beat in the brown sugar, oil, milk and vanilla. Add all purpose flour, baking soda, cocoa powder and salt. Mix gently. It is ok if some flour is visible. Do not overmix. 4. 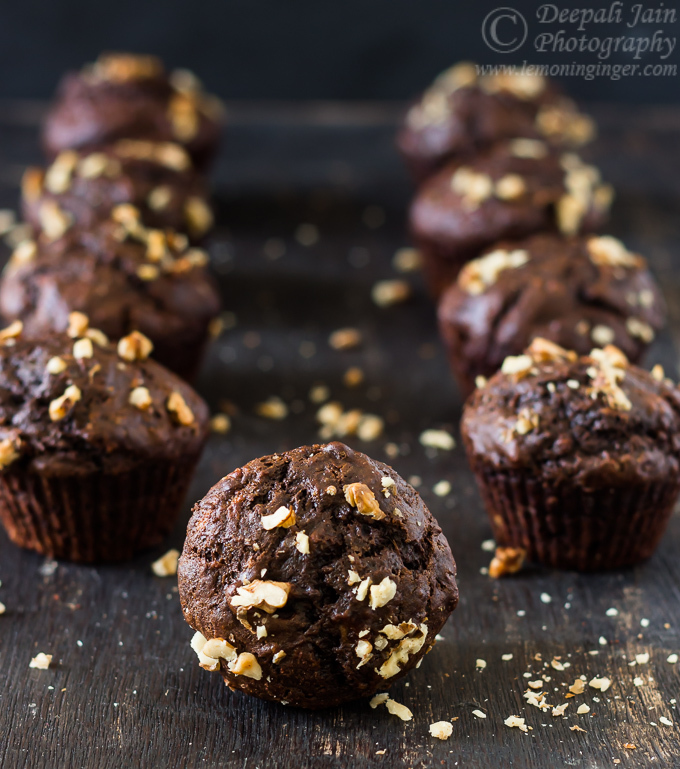 Scoop batter into each muffin cup, filling it only till ¾ level, allowing space to rise. Bake for 18-20 mins. Allow to cool in tin for 10 mins and then remove. Eat fresh with milk or for kids as snack. 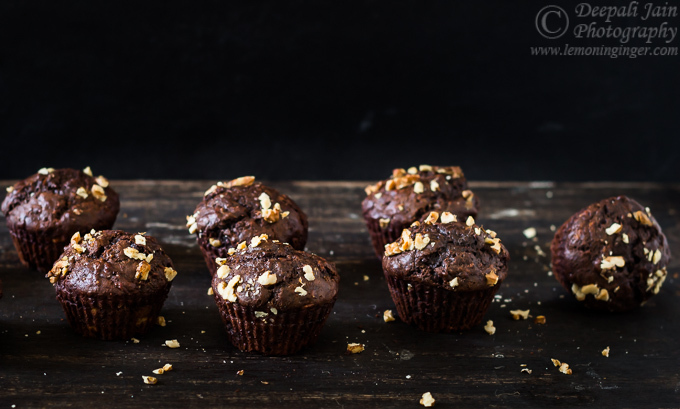 One bowl recipe for the most delicious eggless chocolate muffins. 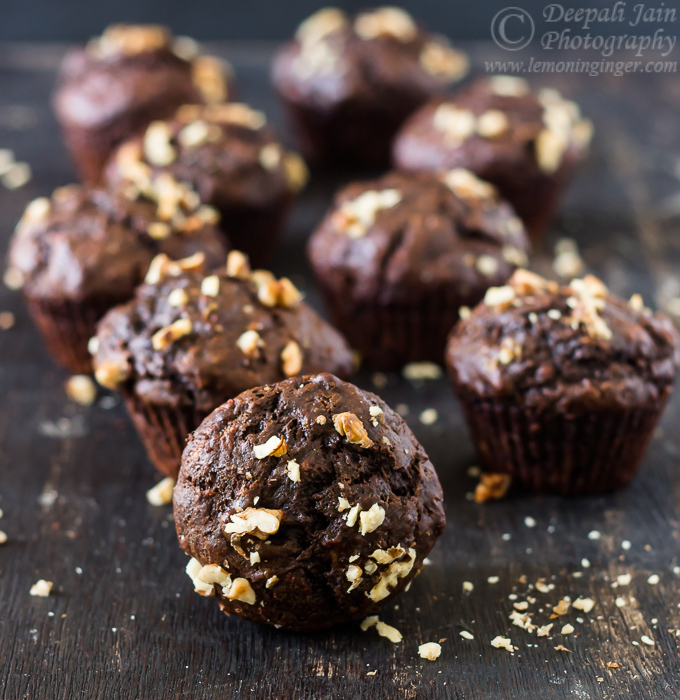 Sending this Chocolate Banana Muffins to Bake Fest # 42, an event started by Vardhini.